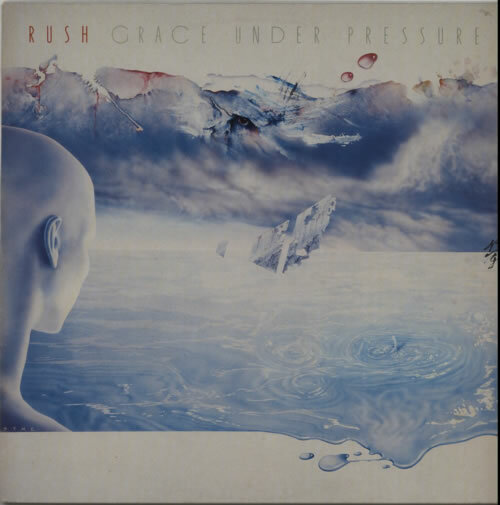 RUSH Grace Under Pressure (1984 UK 8-track LP, including Distant Early Warning, Kid Gloves and Between The Wheels, picture sleeve with lyric inner. The cover shows just a little mild wear with a 1" seam split to the top & the vinyl is Excellent with light signs of play only VERH12). or visit our Rush image gallery.